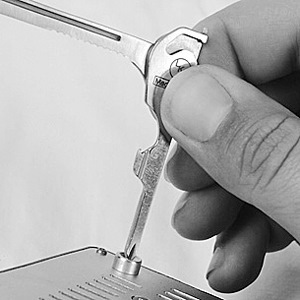 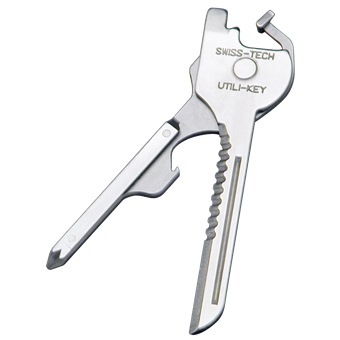 This ultra-light, durable and precision crafted 6-in-1 mini-tool has a straight knife blade and a serrated cutting surface, a flat screwdriver, a Phillips screwdriver, a micro-sized screwdriver, and a bottle opener, and weighs in at an amazing 0.5 oz. 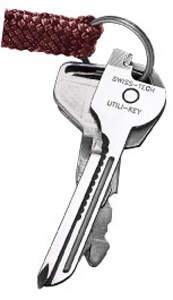 The patented quick-release design easily snaps to your key ring, and just as easily releases for multiple everyday tasks. 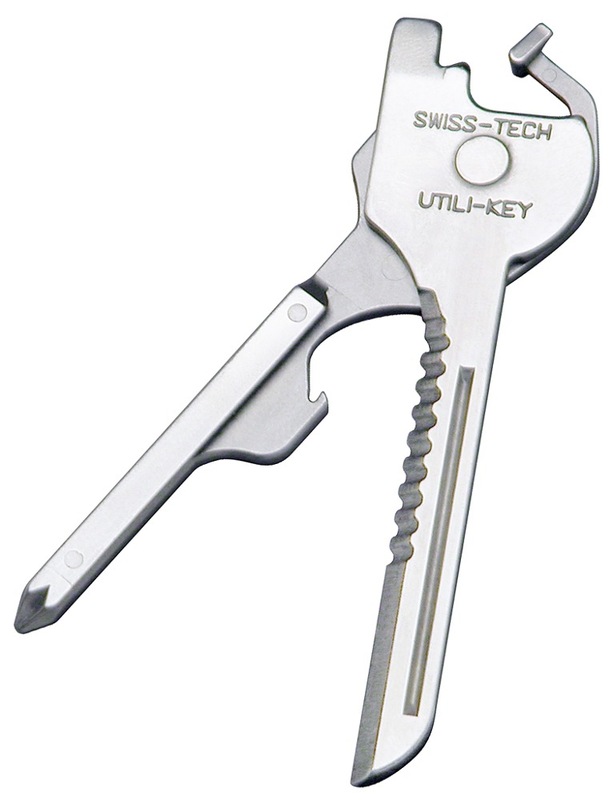 Ideal for indoor or outdoor activities and emergency situations, this tool comes in handy on the road and at home!